If you’ve been considering a subscription to Bell Mobile TV, it looks like you will be paying a new price increase for overages. According to an internal doc, MobileSyrup reports new activations will pay $3/hour for overages instead of the original $1/hour price. 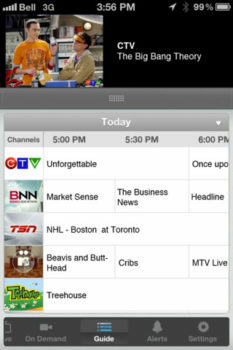 Bell Mobile TV subscribers pay $5/month to get access to 10 hours of live TV from 25 channels ranging from sports, news and entertainment. The app requires a 3G/4G/LTE connection and the data used does not come from your data bucket; it is only available to Bell subscribers. 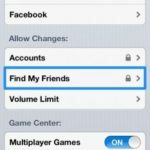 The app debuted in February of 2010, and is periodically updated to include the latest sporting events such as March Madness and the London 2012 Olympics. 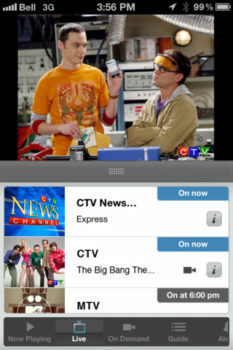 Are you a Bell Mobile TV subscriber?